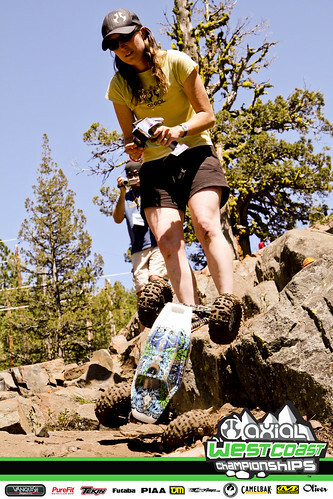 Team Axial driver Becky Barger walks away with the Rock Candy win at the 2011 Axial West Coast Championship Finals in Cisco Grove, Ca with her Axial XR10. 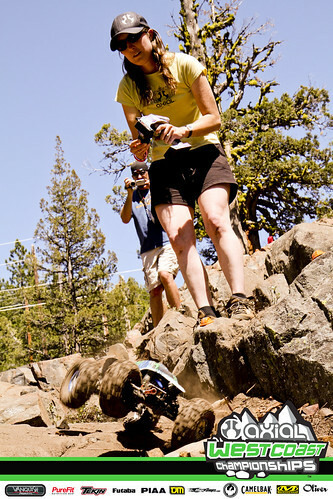 Congrats to Becky for her win, we are proud to have you on the team. A few shots of Becky on course doing work! Most competitors rolled while driving off this ledge. 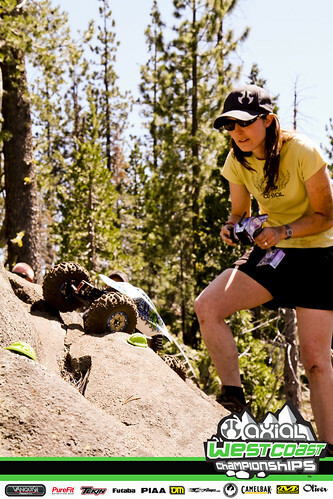 Becky was quick enough to give her truck a little throttle when the front tires touched down, which helped her rig land on all 4 wheels. Nice driving! 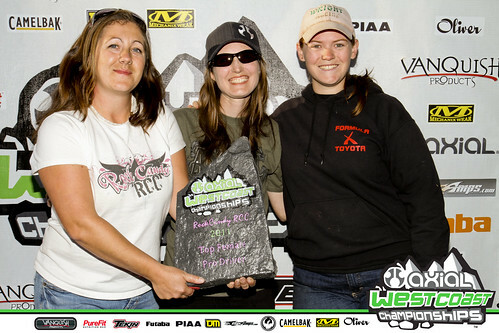 Rock Candy girls, Mindy Howe (left) and Jess Downing (right), present Becky with her 1st place trophy. Keep an eye on this girl at Nationals in September, she will be on her game as usual representing the state of Colorado.